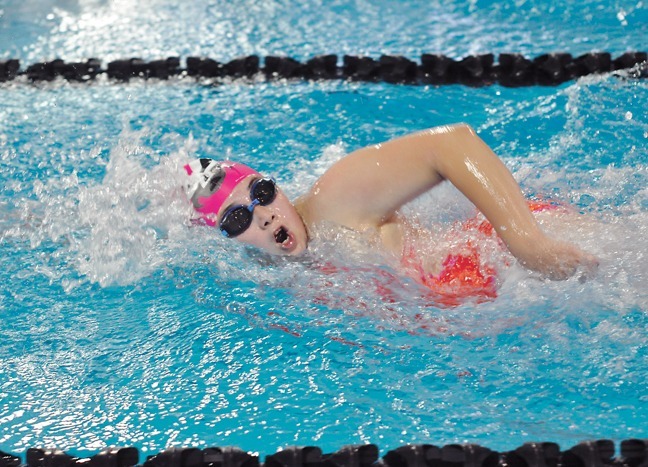 The following are the results of the Taber Viper Swim Club’s showing at the Alberta Summer Swimming Association (ASSA) Provincial Championships in Edmonton on Aug. 17-20. Seven members of the club competed individually, along with a team consisting of T. Silver, A. Duell, J. Anderson, and D. Wright. The meet was held at the Kinsmen Sport Centre. Provincial qualifiers from the club advanced following successful results at the ASSA Region “F” Championship Meet in Lethbridge on Aug. 10-12. Jessica Anderson, Girls Age 13&14: 100 Fly (1:18.18, sixth); 50 Back (35.58, eighth), 100 Back (1:17.31, eighth), 50 Fly (33.17, ninth). Morgan Bruce, Girls Age 7&8: 100 IM (2:04.66, fifteenth). Evan Klemen, Boys Age 11&12: 100 Free (1:19.69, sixteenth); 50 Free (35.91, sixteenth). Dion Velarde, Boys Age 13&14: 50 Back (36.19, thirteenth); 100 Back (1:19.91, fourteenth). Don Velarde, Boys Age 9&10: 50 Back (46.57, twelfth); 25 Back (21.68, thirteenth). Darci Wright, Girls Age 13&14: 50 Fly (31.61, first); 50 Free (29.37, second), 100 Free (1:04.98, third); 50 Back (34.81, fourth). Girls Age 14&U 200 MR (T. Silver, A. Duell, J. Anderson, D. Wright): 2:20.85, third.